In the city center, apartment of character, with its 16th century stamp. Property 12: In the city center, apartment of character, with its 16th century stamp. 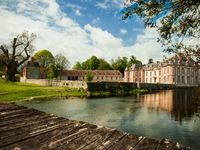 In Chateau Le Perche - Located in the forest. 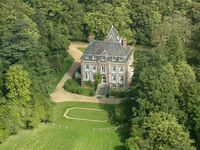 Property 18: In Chateau Le Perche - Located in the forest. My family and I stayed at this property for 10 days. It was delightful. We went on road trips almost every day and returned each evening to the manor. Each day we anticipated our return, it was so relaxing each evening to pull into the long driveway. Be advised, this home is in the country and you are completely surrounded by fields, flora and fauna. As such, be sure to plan accordingly in terms of meals (as we did). The nearby town of Verneuil has EVERYTHING you would need (and is a 10 minute drive). The manor is steeped in history and proved completely satisfying for our needs. The owner and manager of the property were 100% available to answer questions and address any concerns we had. I would stay here again without hesitation! Beautiful, wonderful staff, underpriced! I would highly recommend this for any occasion. We booked this chateau for our wedding and everything was amazing. The chateau is beautiful, the scenery is incredible, and the staff will do anything to make sure you are happy and taken care of. We had all the food, decorations, and entertainment we needed. There is no reason to NOT book this place. You will not regret it, expecially at this rate. It's perfect!